With the 2018 Japanese winter season already in full swing, the number of foreigners visiting the country to get a taste of its world-famous powder snow is set to rise yet one more time this year. Dry and extremely light powder has made Japanese ski resorts and backcountry a “must-visit” destination for freeride skiers and touring enthusiasts around the world. And there is no shortage of it: Japanese ski resorts receive an average of 10 to 18 meters of snow each season! The two major skiing areas in the country are the northern island of Hokkaido and the resorts in the Japan Alps, which split in two the island of Honshu. Both these places are famously cold. Cold air comes from Siberia or China, blows across, and then picks up all the moisture from the Sea of Japan. When this moisture is dropped off after hitting the mountains in Hokkaido or the Japan Alps, the snow remains very dry because temperatures are so low. 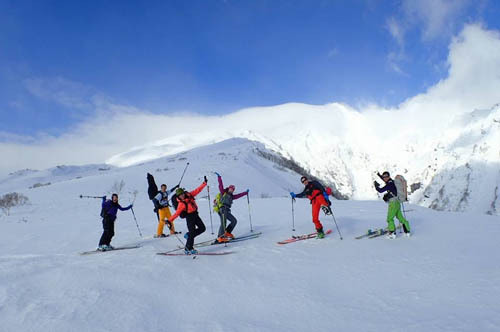 Hiring a local certified guide will make all the difference for foreigners visiting Japan’s ski resorts. Guides will show clients to the best slopes, teach them about the local customs and culture and even act as translators. 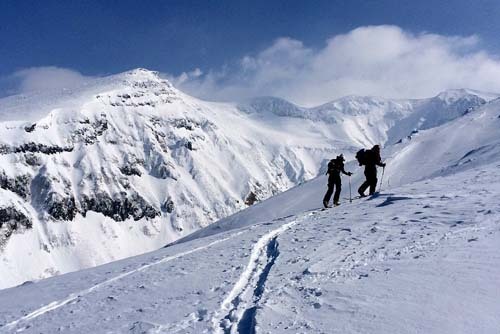 For off-piste skiing, especially in more remote areas, a professional guide can be key to ensure a safe experience. Niseko United Resort, in Hokkaido, is probably the most famous among foreigners. Because it is really cold during the day, snow doesn’t get icy. It even has very good night skiing. The fact that the resort offers controlled off-piste skiing (which is not allowed in many other Japanese resorts) is also a big plus among westerners who flock to Niseko between the months of December and March (although April and May are also great for ski touring). A lively apres-ski scene, with nice restaurants and bars, is also an appealing feature. Also in Hokkaido, smaller ski resorts around Sapporo — the island’s capital city — provide easy access and great powder. “It’s a great idea to hire a guide to drive you around and take you to the right one for that day. Asahidake, the highest mountain on the island, is also a popular spot for off-piste skiing, while the collection of resorts in Furano is a classic pick among foreign skiers visiting Japan. And then there’s my personal favourite: the island of Rishiri, just off the Hokkaido coast. You arrive by ferry or by small plane and already it feels like an adventure. This small island, made up of this one mountain, has this unmistakable ‘out there’ feeling. There are few skiers during the winter and they generally stay at their guide’s guesthouse. During March and April, when the weather is good, you can ski from summit to sea. The ski areas in Honshu, meanwhile, have a more alpine feel than those in Hokkaido. Hakuba, probably the most famous, is the Niseko-equivalent in Honshu and the site of the 1998 Nagano Olympics. 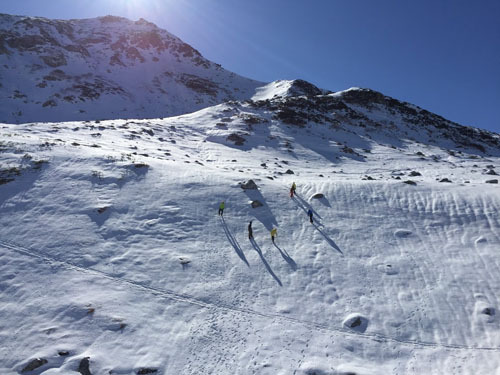 The first Freeride World Tour of the 2018 season will take place in Hakuba this year, to take advantage of its abundant snowfall and epic conditions. It’s more rugged, more alpine than Hokkaido. Mountains are higher and steeper and have drops. Unlike Niseko, it retains some traditional local feel but is still a good mix between Japanese and foreign culture. Meanwhile, Myoko Kogen and Nozawa Onsen are also cool spots for those looking to get a taste of Japanese culture. Most resorts in this area have their own onsen (natural hot baths), a great way to relax after an exhausting cold day of skiing in deep powder. For more off-the-beaten-path destinations for backcountry skiing, Ryoko also has a list of recommendations. Shirakawago, a village with tiny ski resorts, provides amazing backcountry skiing opportunities. It is a UNESCO World Heritage Site and it’s also very pretty. It is known for its very deep snow. Then there’s the Tohoku region, located in the northern tip of Honshu in a very remote area that is also famous for getting tons of snow. And Tateyama, located in the middle of the Japan Alps, is probably also worth a mention. Deeply buried in snow during the winter, it only opens in autumn and spring. There are no ski lifts here so skiers must be ready to hike their way to the top. Ski touring on Mt. 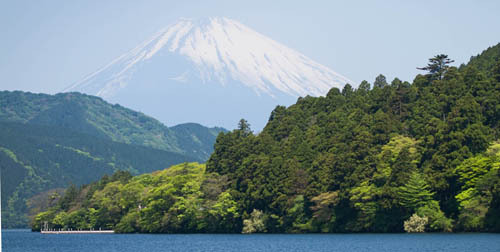 Fuji (3776m), the most famous mountain and sacred in Japan, is also popular among foreign skiers visiting the country. It is possible during the months of April and May. Explore-share.com is an online booking platform listing more than 2800 mountain trips in more than 50 countries, led by over 750 certified mountain guides. The company is based in Belgium, Chamonix, Argentina & Japan. Created in 2015 by the two Belgian mountain enthusiasts Gauthier Poncelet and Nicolas Vandepaer, Explore-Share’s mission is to make mountain experiences available to a broad public: from avid rock climbers to powder addicts, and from first-time hikers to families with children. There is something for everybody. Because safety is a top priority, only professional, certified guides are featured on the platform. Most of them are IFMGA-certified (International Federation of Mountain Guide Associations), widely accepted as the most rigorous certification in the world. The site lists many off-the-beaten-path adventures, including hiking tours in the easternmost corner of Russia (Kamchatka), ski tours in the northern Japanese island of Rishiri, backcountry ski trips in Iran or mountaineering trips in the Ala Archa valley in Kyrgyzstan.